A lot of hidden features and applications comes with the Windows XP operating system. Some of them are simply funny, sometimes useful and some of them are sometimes life saving !!!. Average XP users don’t know ( or don’t know all of them) about these hidden features and utilities that come with the XP. 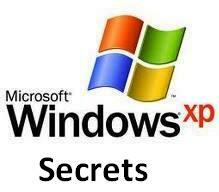 Here are some of the hidden features that will help the users to maximize their Windows XP using experience. IExpress — A hidden Install Creator package : Probably you have used different install creators, either commercial or free versions. Do you know that the XP itself provides a program install creator? 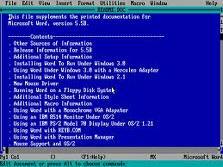 It is in the C:\WINDOWS\system32 directory and if you simply type ” iexpress“ in the run command box. The setup program created by IExpress can be an .inf file or an executable program depending on the choices one makes while creating installation package. IExpress automatically removes the setup files after installation, saving the user time and frustration. This installation creator gives different options for the install creator : Package title, Confirmation prompt, License agreement (totally customizable) , post installation command , windows visibility during installation (default, hidden, minimized & maximized) , finish massage , Package name etc….. Enjoy using this free installation creator…. visit http://technet.microsoft.com/en-us/library/dd346760.aspx to get the detailed instruction on how to use the Iexpress …. Folder Name — There are some reserved special file names that are used by the XP itself. So these names can’t be used as a file name/ folder name etc. For example , CON, AUX, COM1, COM2, COM3, COM4, LPT1, LPT2, LPT3, PRN, NUL are reserved words by the XP. So you can’t use any of these word to name your file or folder. If you find yourself in a situation when you can’t name a file/folder(or the XP doesn’t permit you) , don’t assume it’s a fault of the OS. Simply try something else…. Go to Run–> type ‘edit’. You will be provided with a text editor (simply call edit) which has features similar to Notepad, as well as additional features such as the ability to work with multiple text files and change the background and text colors. To place a shortcut of this application go to C:\Windows\System32 folder. search for the edit.com and right-click the file, drag it to your desktop, and select the Create Shortcut(s). Double-click the Shortcut icon to launch Edit.